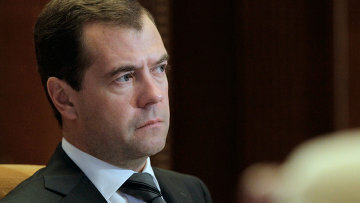 Medvedev discusses anticorruption efforts | Russian Legal Information Agency (RAPSI). While discussing the anticorruption activities implemented in recent years, President Dmitry Medvedev said the government's efforts have borne fruit. Russia has managed to develop a legal framework for combating corruption, he said. However, he stressed that the first campaign to get officials to publish their income did not bring about the expected results. He agreed to repeat the campaign to give officials another chance to regain the public's trust. According to Medvedev, over 1.2 million people presently declare their income. Last year, 233,000 declarations were verified and 10 percent proved to contain false or incomplete data. Medvedev's crusade against corruption has been a priority during his presidential tenure from its outset. He has also made it clear that he will continue this effort as the prime minister. Corruption in Russia is most deeply-rooted in the traffic police, kindergartens and higher educational institutions, according to an Open Government Partnership report. The Open Government Partnership is an international initiative designed to make government more transparent and effective. Its task is to draw up a list of reforms to be fulfilled within the next two to three years, which will help develop the country's economy and protect civil rights. High corruption levels were also registered in conscription committees, with 40 percent of conscripts involved in bribery. Some 35 percent of pupils faced corruption in schools.Corruption affected 26 percent of those who used free medical aid schemes at hospitals. The amount of those who had to pay money to resolve passport-related issues stood at 23 percent. Pursuant to the report, companies regularly face corruption in almost all spheres, with the corruption stake amounting to 32 percent in cases when companies try to access state tenders. In this context, corruption appears to be a major problem in doing business in Russia. Without corruption, the economy could have grown faster – by six rather than four percent per year, the report states. Capital flight made up 4.5 percent of the GDP in 2011 and this trend will persist in 2012 despite the favorable foreign economic situation, the report says. In its authors’ opinion, having reached such dimensions, corruption becomes uncontrollable.Therefore, they have proposed a plan to curtail state involvement in the economy. The establishment of a Supreme Court corruption board may also help, they believe. The president stressed the need for a compliance check for proposals regarding the new board, especially in terms of criminal procedure regulations and the law on the status of judges. Medvedev has supported the idea of an information and educational program aimed at creating intolerance toward corrupt practices. He has also favored a public control mechanism, i.e. a corruption monitoring and evaluation system taking due account of public opinion. Media have a role to play here as well, the president said, although he asked journalists not to forget about the presumption of innocence in their coverage of corruption scandals.